In a recent AZ office buy, Ascentris acquired Kierland Corporate Center II, a three-story, 82k sf, Class A multi-tenant property, for $25 mil, or $305/sf. The property is located at 7033 E. Greenway Pkwy, west of Scottsdale Rd in Scottsdale. 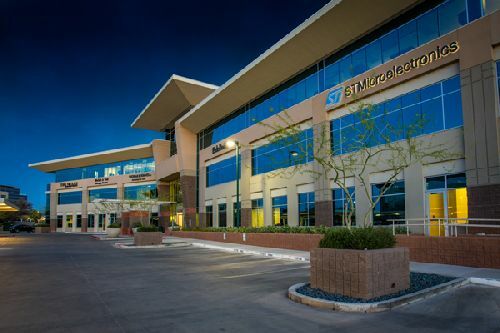 Kierland Corporate Center II, constructed in 2009, is currently 93% leased to major tenants including STMicroelectronics, Eide Bailly, and Sherman & Howard. The property features modern architecture, efficient floor plates, a two-story lobby, 290 parking stalls, and benefits from immediate access to some of Arizona’s most sought-after shops and restaurants. Within walking distance to both Kierland Commons and Scottsdale Quarter, the property provides its tenants and visitors quick access to dozens of restaurants and retailers such as Apple, Restoration Hardware, Nike, and Tesla. Surrounded by some of Phoenix’s most prestigious residential neighborhoods, the property attracts tenants across industries, including healthcare, technology, life sciences, and financial services. Ascentris views the property as a long-term investment. Plans for the asset include completing key tenant-facing capital improvement improvements, building out speculative leasing suites and finishing modest improvements to the parking garage. Eric Wichterman and Mike Coover of Cushman & Wakefield Phoenix brokered the deal for the Denver-based buyer and the seller, PCPI Kierland II LLC and Parallel Capital Partners. Colton Trauter and Bill Blake from Lee & Associates will lease the property for Ascentris, and Arcadia will provide property management services.